Cochin Port Trust Recruitment Notification 2017: Cochin Port Trust has given an employment notification for the recruitment this is the great opportunity to the applying candidates who want to apply for this job you have to apply on the official website. this will be the opportunity tot he applying aspirants those who want to get some more details on this job recruitment please click in the given below website. Here you can find some more details click in the given below link. In this, you have to check the details on this basis job recruitment so you have to check int eh notifications. 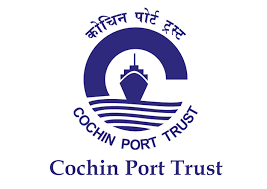 Cochin Port Trust Job On Secretarial Assistant Posts 2017 these are the opportunity to the applicants who are interested in this job recruitment so in this, you can find some other details please click on the website is Sarkari. Then you will get the information about the notification it shows the job will give it is based on the test and the interview process. Then first they will take the test and the next is interview and for this you have to take the previous papers and the practice online tests these are the helpful for the competitive exam so so many candidates like this they are preparing and in this you have to check the syllabus pattern also will be there in this job recruitment. Cochin Port Trust Job Vacancy Details On Secretarial Assistant Posts 2017 from the above table given some details and if you have some more details please check in the given below link. Candidates should have Degree of a University, Typewriting English (Higher) and Shorthand English (Lower). Candidates upper age should be 35 years. Click on Secretarial Assistant Posts. Last Date for Receipt of Application: 25-05-2017.